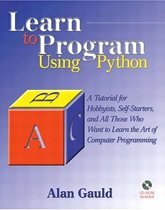 Learn to Program Using Python is based on a popular on-line tutorial that has been expanded and enhanced for this book. It takes you step-by-step through all the essential programming topics. The book introduces elements of programming style and offers a look at the thinking and steps involved in designing a software solution. Several sample applications illustrate techniques and ideas in action.